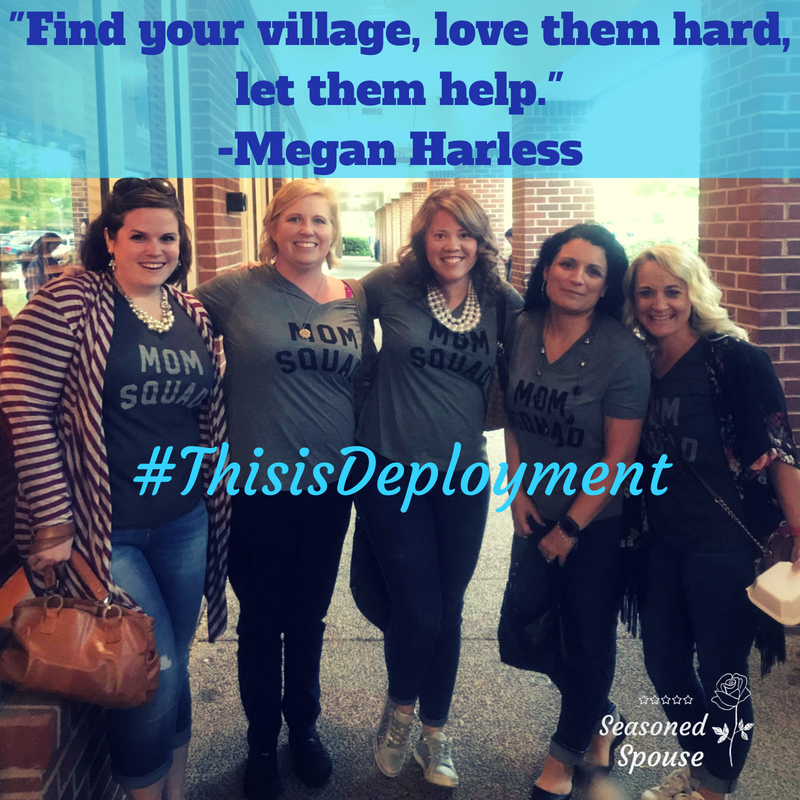 This guest post by Megan Harless is part of the #ThisisDeployment campaign, where I encourage military spouses to share their deployment stories and learn from each other. 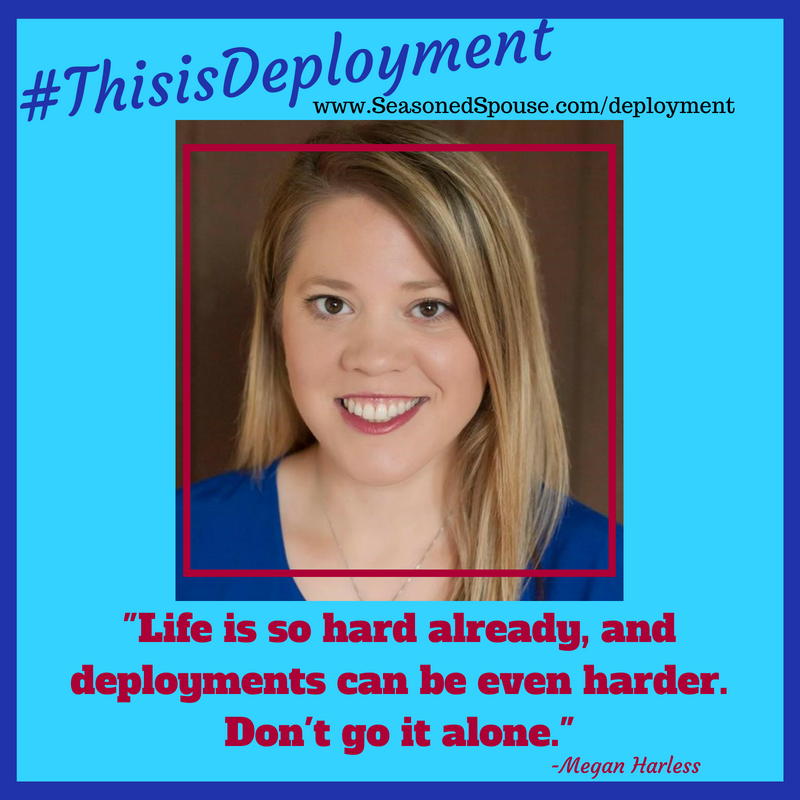 In this post, Megan shares how she learned to ask for help during deployment. As a military spouse we often fit the stereotype of being everything to everyone. We will bake the cookies needed for the FRG bake sale, we will chaperone the school field trip, and suddenly find ourselves sitting on the board of post organization because someone asked us to. 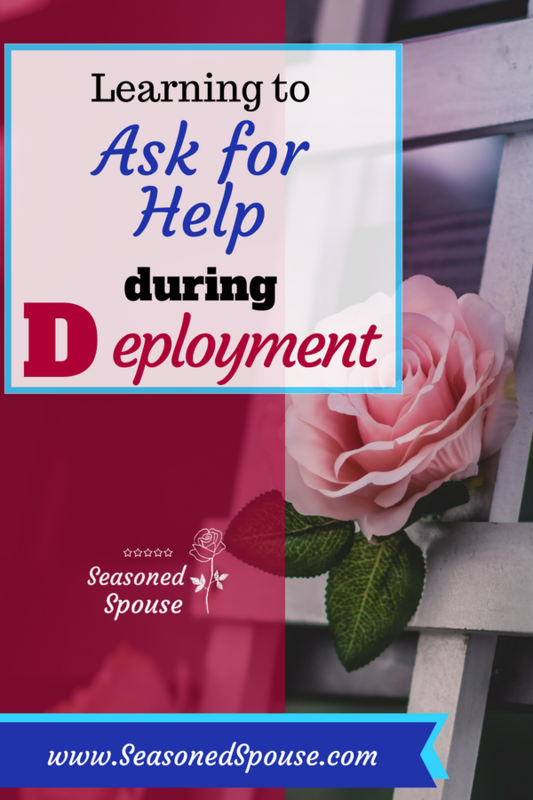 However, one thing we often find it hard to do is asking for help, especially on a deployment. We want to look like we are surviving, like we have it all together. We don’t want others to see us crying on the bathroom floor because we burnt dinner, again. We don’t want others to see our house a mess because at the end of all the doctor’s appointments, FRG meetings, and sports practices, we were simply just too tired doing everything else that we couldn’t do the dishes. Often, we get into this mindset that asking for help means that we are weak and incapable of handling things. We believe that asking for help means that we have failed somehow. Sometimes asking for help can feel like we are giving up, throwing in the towel, and saying “I’m done”. Feeling the need to ask for help can be both a blessing and a curse. It feels like a curse for all of the reasons mentioned before, but it can be a blessing because it allows someone who wants to help, but doesn’t know how to help, the opportunity to help. And we usually don’t have to go far to ask for help. Find your village, love them hard, let them help. During this deployment I have had so many times where I have needed help, and being the big girl that I am, wanted to do it myself. I was raised to be independent and strong. I can do anything! Sure Megan, calm down there. I tried on my own to handle it all. I tried on my own and I failed miserably. I realized quickly that I could not do it all on my own. I realized that I needed help. Megan needed to break out of her little shell and ask for help–something that completely terrified me. I began to learn the art of asking for help. First it was for little things like asking Kristi to get Natalie off the bus if I knew I was running a few minutes late. But then I began to ask for help for much bigger things like Crystal who helped me hook up the new dryer, Kristi helped me jump my car, and her husband changed the porch light for me, and more friends came to help drop off a meal, or a box of chocolates, or arrange for their teenagers to babysit my children so I could have a moms night out and relax a little bit. I was thankful that I could swallow my big pride and ask for help. My village was glad that I let them help. Life is so hard already, and deployments can be even harder. Don’t go at it alone. You will be surprised by those who want to help you but don’t know how. And when you find your village that can be there to help you in your hard times, don’t forget to the be friend that is also there to help and support them through their hard times too. 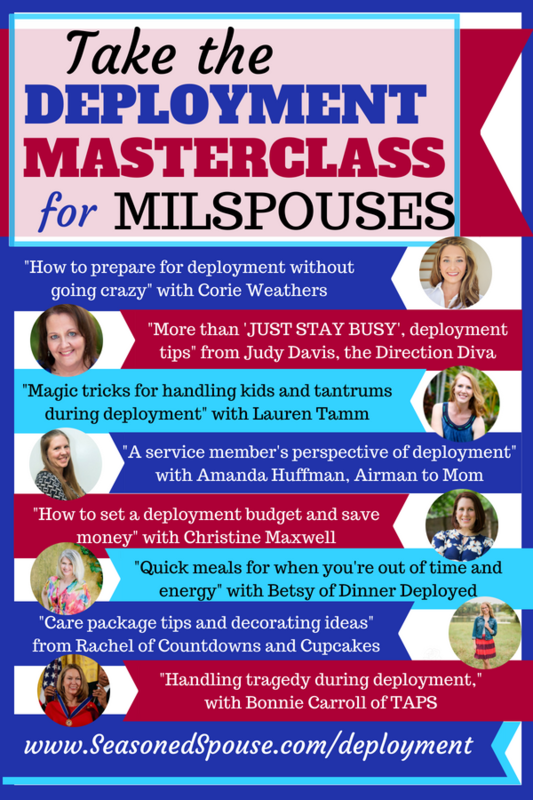 Get more deployment encouragement and support through the Deployment Masterclass, which includes videos interviews from a dozen experienced spouses, the 28-page Deployment Guide, and a supportive Facebook group! *Megan is a doula for Stars and Stripes Doulas www.starsandstripesdoulas.com, they are the first and only full service doula agency that hires military spouses and veterans and also primarily supports the military and first responder community. They currently have 5 chapters open, and expanding to more location across the country.